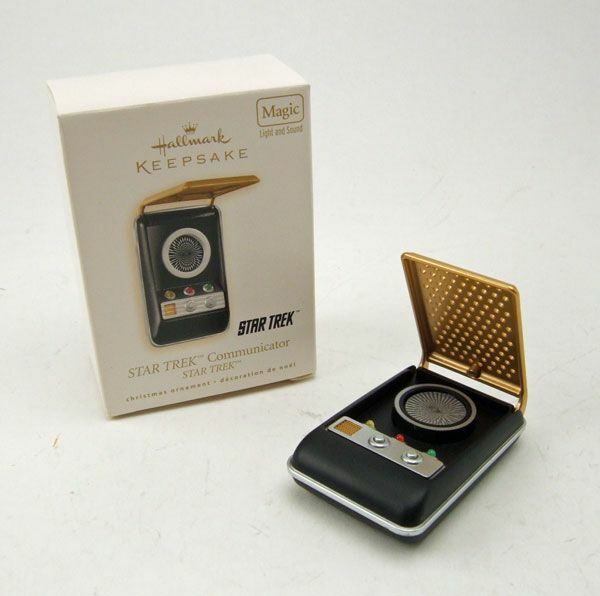 The Rundown- About a year ago, I spotlighted the 2009 Starfleet Phaser Ornament from Hallmark, which I pegged as a companion piece to the 2008 communicator ornament. 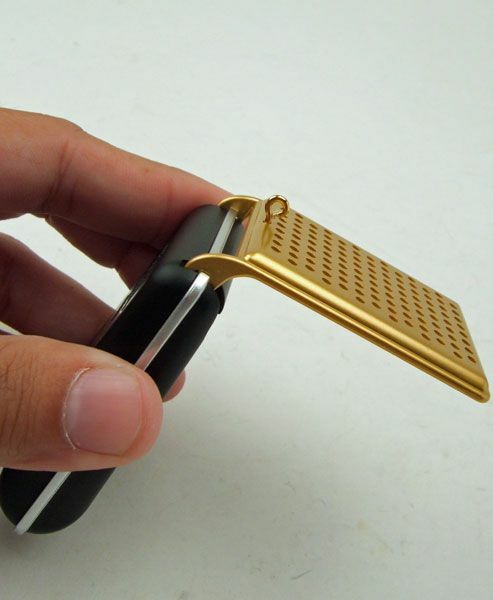 Well, looking back, I realized that I'd never even done a spotlight on the communicator... so here it is! 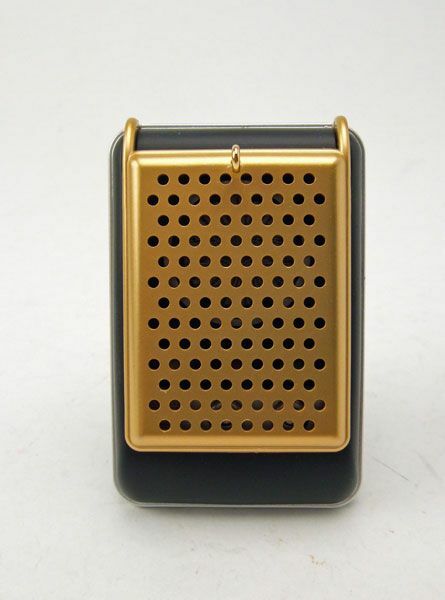 Based on the classic series communicator, the ornament features a solid black body with a gold flip-open lid/ antenna. While they did a pretty decent job of replicating the look, Hallmark had to take a few liberties with this to make it fit into the ornament category. 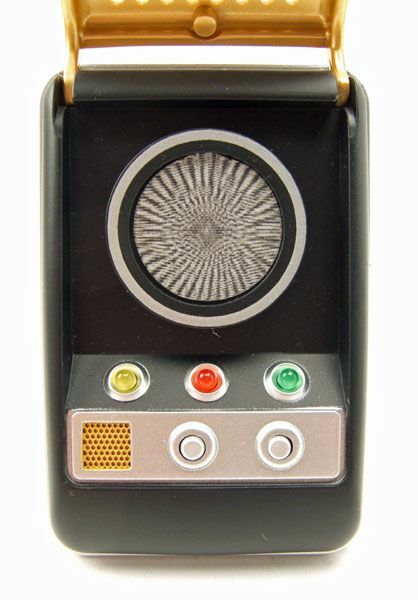 Sure, if you judge this as a prop replica, it's not very accurate... But as an ornament, it's pretty darn good. 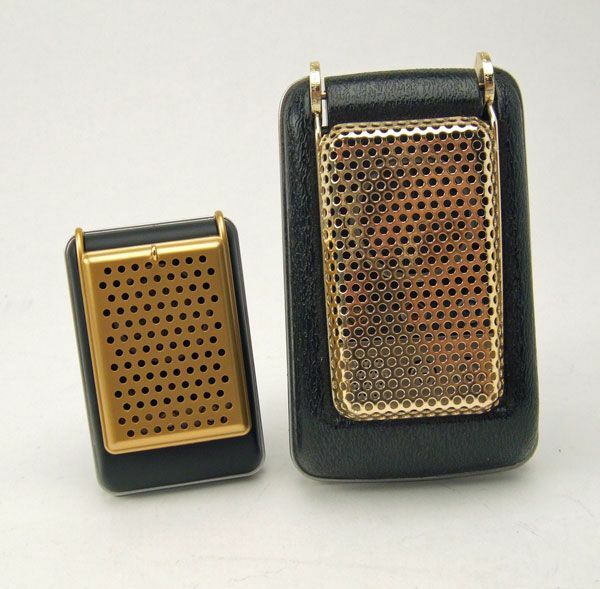 The lights are nice and bright, the speaker area has a clean brass paint app, and the buttons are easy to press. There's even a cool "flicker" sticker to replicate the spinning moire effect (something I hadn't even noticed until I did this spotlight). The ornament's hook is actually on the antenna, meaning you have to have it in the open position whilst hanging on your tree. Not a huge deal, but it makes playing the "opening" effect a little difficult. Easily one of my favorite Trek Hallmark ornaments. 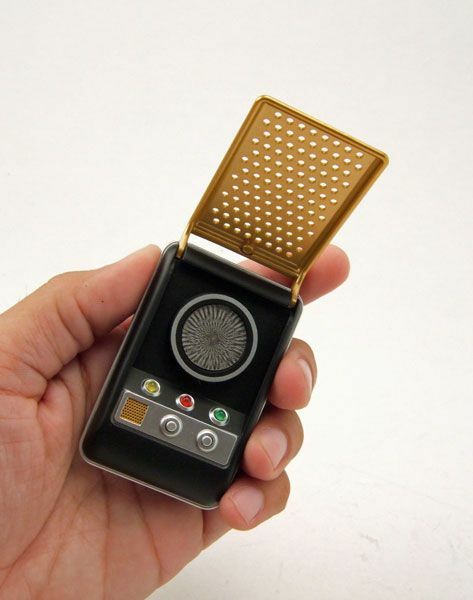 While not as accurately sized as the 2009 phaser, it's sound effects and overall coolness make up for it's diminutive stature. 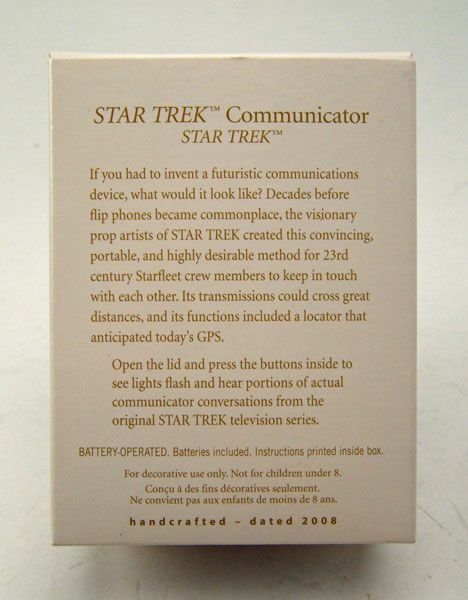 The communicator originally retailed for $18.50, but can be found on ebay for less than that nowadays. So what are you waiting for... you've only got like 28 days until Christmas! 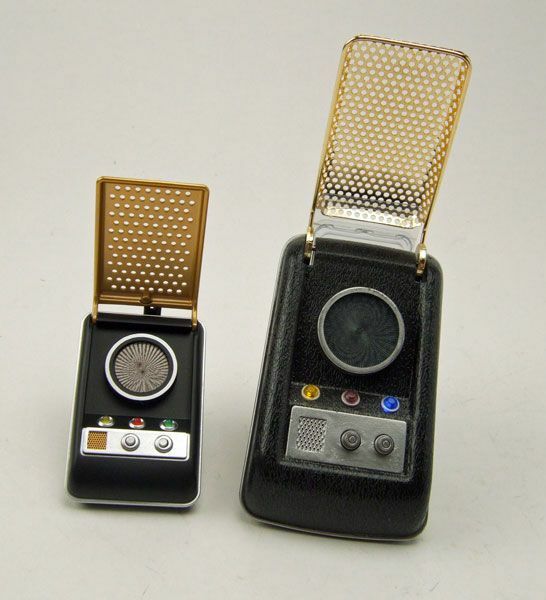 The selection of sound bites on the ornament tops those on the DST communicator. I agree, and the sound quality also tops ANY of DST's toys with sounds. DST should spend an extra nickel on a better speaker and sound chip on its toys. 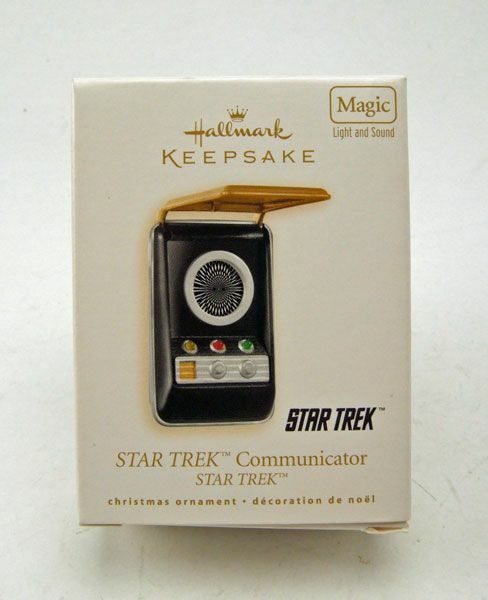 BTW, I bought these Hallmark TOS communicators at a Books a Million store for $5 each the year they came out. 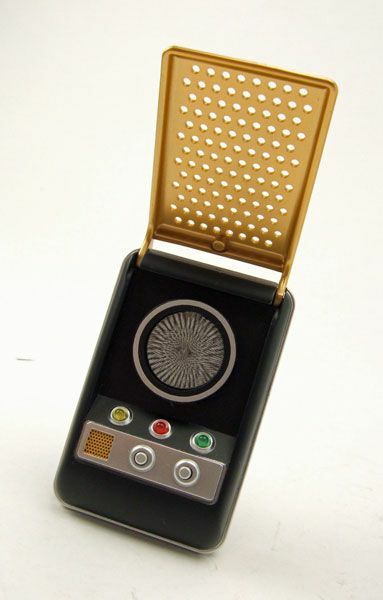 Do you have this TOS communicator keychain? I found it at Toys R Us last week on closeout for $2.99. It's more accurately shaped than the Hallmark version and also includes lights and crew sounds.